Perfect for Summer Days and coastal trips the Pembrey Top from Barbour is ideal summer attire. 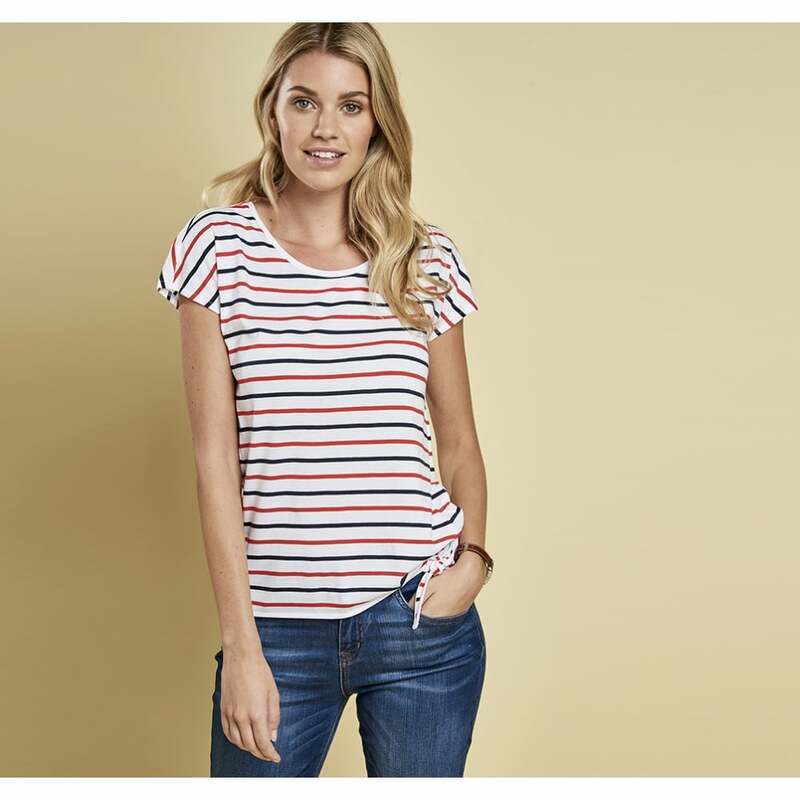 The relaxed fit top is beautifully crafted from a cotton blend and features an on-trend nautical striped print. Finished with a cute side tie detail and Barbour enamel sew on disc. Team with your favourite jeans or shorts for a cute casual day look!